With the spiny lobster mini-season behind us and August upon us, it’s time for the 22nd Annual Key West Lobsterfest! Kicking off Thursday, Aug. 9 and lasting through the weekend, Lobsterfest is a time to celebrate the opening of spiny lobster season in Key West and all the delicious variations that come with it. There’s no better time to get a taste of the local Key West crustacean in all its forms. Foodstuffs like Caribbean lobster ceviche, grilled lobster, and lobster rolls all make for a filling weekend. This year’s Lobsterfest begins with a rooftop lobster boil at the Waterfront Brewery located on the Key West Bight. The down-home boil runs 5 pm to 8 pm and includes a pound of seafood boil, drink options, and live entertainment. Space is limited so make sure to buy tickets in advance here. Want to get out on the water? Enjoy the Lobsterfest discount for a sunset sail with Fury Water Adventures. Details here. Friday marks the Lobsterfest Duval Crawl. For $20, gain access to drink specials in participating bars, a commemorative t-shirt and bottle opener. Read more. 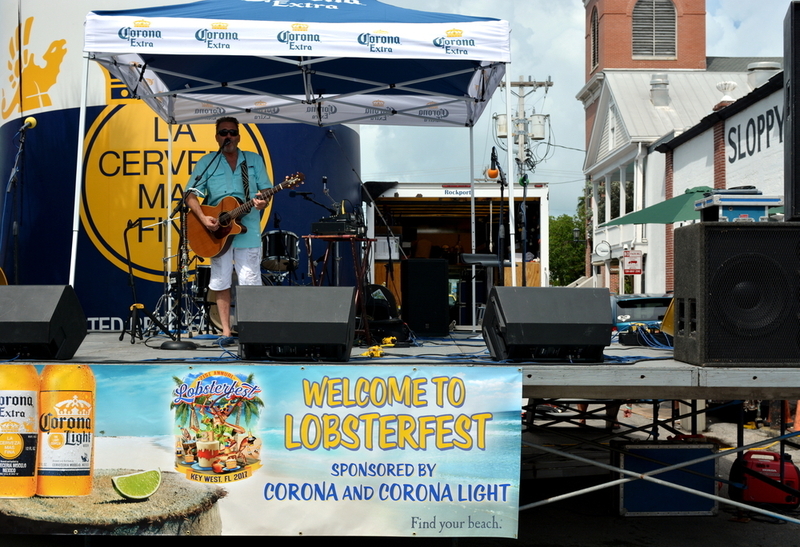 The festival’s biggest event – the annual Lobsterfest Street Fair – begins at 11 am Saturday and runs until 11 pm. This gives you ample time to eat as much lobster as you like, enjoy live music, peruse arts and crafts, and enjoy the scene. The live, outdoor concert will be held at the intersection of Greene Street and Duval. Bring a hat, sunscreen, comfortable shoes and remember to stay hydrated! To round out the weekend of all things lobster, head to First Flight Restaurant & Brewery for Sunday morning brunch from 11 am to 2 pm. First Flight is a local restaurant and small-batch brewery housed in the former birthplace of the Pan American World Airways. The restaurant’s outdoor patio seating in a lush setting is a relaxing place to nosh your final Lobsterfest foodstuffs. Need a vacation? Enjoy free shuttles to Old Town, onsite food options & Starbucks at 24 North Hotel Key West. Find our best deals by booking direct.